Jan 12 Episode 3: Think of the Children! In this episode we talk about the history of childhood. In the 19th century, people started to see childhood as a space where children should just be kids, play, go to school, and eat candy. But this was not the experience of most children in the 19th century. Most kids still needed to work. Some worked really hard jobs on the street. In very Victorian fashion, people were there to chronicle it. 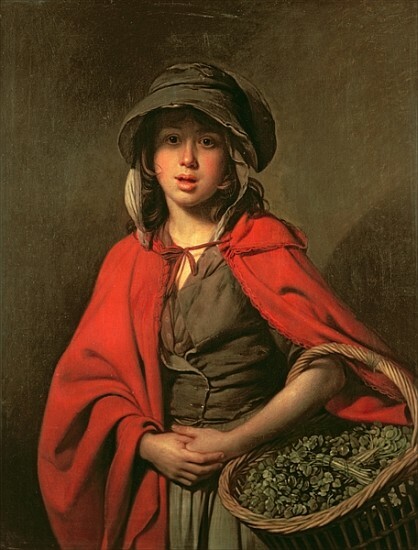 One of the more famous descriptions of child workers is Henry Mayhew's story of the 'watercress girl'-a young girl who sold greens door to door. "I asked her about her toys and her games with her companions; but the look of amazement that answered me soon put an end to any attempt at fun on my part. I then talked to her about the parks, and whether she ever went to them. "The parks!" she replied in wonder, "where are they?" I explained to her, telling her that they were large open places with green grass and tall trees, where beautiful carriages drove about, and people walked for pleasure, and children played"